al Sahwa: Al Qaeda: Franchise or Conglomerate? Al Qaeda: Franchise or Conglomerate? This blog post comes out of a series of email discussions with DP, and is the first of at least two posts. These posts are intended to generate thought and discussion; I need you to challenge this theory! If you are a returning reader, you will undoubtedly recognize the word “franchise” from prior posts as we discuss al Qaeda’s offshoots around the world. If you are not a returning reader, I suggest you read this article from the BBC for background, and click here and here for a few of DP’s recent posts discussing franchise terrorists. These groups include (but are not limited to) al Qaeda in the Arabian Peninsula (AQAP), al Qaeda in the Islamic Maghreb (AQIM), Harakat Shabaab Mujahideen (HSM), and al Qaeda in the Caucasus (AQC). Over the course of my discussions with DP, I began to visualize al Qaeda and its subordinate “franchises” under a different commercial simile: that of a business conglomerate. I do not think franchise is a bad simile, but I don’t think it truly highlights the kind of relationship seen between al Qaeda’s Central Leadership and its networked subordinate terror groups. Franchise - the right or license granted by a company to an individual or group to market its products or services in a specific territory. Conglomerate - a corporation consisting of a number of subsidiary companies or divisions in a variety of unrelated industries, usually as a result of merger or acquisition. At first glance, franchise seems like a good fit. But, let’s first analyze both words in a true business format, and then move on to analysis of a terrorist group flying the black flag and shehada of AQ. A prospective small business owner in Small Town, USA decides he wants to invest in a fast food franchise. He then analyzes what he feels this small town is missing, and takes a look at a website like http://www.franchiseopportunities.com to see what opportunities in fast food exist. The businessman eventually decides upon my favorite sub shop, Jimmy John’s. The businessman buys into the franchise and starts setting up shop in the small town. The new Jimmy John’s becomes just another Jimmy John’s, carrying the same name and packaging, selling the same food, etc. If this small town has a specific style of sub that is popular in that region (like a Po Boy in Louisiana or a Cuban in Florida), the new Jimmy John’s would not be able to capitalize on that popularity and sell Po Boys or Cuban subs. They are restricted to make and sell what is approved by Jimmy John’s corporate headquarters. Another key consideration is that the sub shop is a Jimmy John’s before the doors open on the first day. It’s not often that you see a mom & pop shop open up and then later become a Jimmy John’s or Subway. In a business conglomerate, a major corporation buys a smaller company to gain a foothold in a specific industry in an effort to diversify. The major parent corporation then likely will provide one or more personnel to the smaller company’s board of directors to provide strategic guidance. Otherwise, the smaller company is (typically) left to its own devices. If the smaller company attempts to employ a new business tactic or push a round of optimization, they can draw upon the larger company for subject matter experts on whatever task they are undertaking or having issues with. The major corporation offers guidance, knowledge, trainers, etc. in an effort to enable the success of the smaller company. Each subordinate company maintains its own leadership structure with only a few key personnel reporting up to the larger corporation, and largely guides itself through day-to-day operations. Lastly, it is important to highlight that the smaller companies of a conglomeration were usually in business before they became a part of the larger corporation. This is an important aspect to remember as we look at al Qaeda. Harakat al Shabaab al Mujahideen (HSM) of Somalia is a great example for this discussion. After splintering from the Islamic Courts Union in 2006, the group has grown steadily. Starting at first as purely a national insurgency against Ethiopian forces, HSM later moved on to targeting the Transitional Federal Government and rival militias like Hizb ul Islam. In June 2008, HSM leadership published its first communiqué that began with greetings to AQ Central Leadership. This is the first known signal that HSM had aligned with AQ and moved into the ranks of global jihad. Although to be approved to carry the AQ banner, HSM must have made previous overtures toward AQCL that they were prepared to elevate their attacks to a regional and/or international level. What makes HSM more like a small company in a conglomerate than an AQ franchise? 1. HSM was in business before aligning under AQ, which likely did not occur until June 2008. 2. HSM maintains its own leadership and goals while simultaneously supporting AQCL’s overall global ambitions. For background on HSM’s movement into the ranks of transnational jihadism, click here and here. 3. AQCL reportedly provides operational and planning subject matter experts to HSM. The emerging tactics and media capabilities of al Shabaab also lend credence to a foreign training cadre in Somalia. 4. Despite the subject matter experts on the ground and other forms of support like communiqués from Abu Yahya al Libi and Ayman al Zawahiri, HSM is largely left to its own devices for how it will prosecute their front of the war. 5. Just as AQIM is in the business of kidnappings (see here and here for two examples) to support the greater jihadist movement, and AQAP undertook the attempted Christmas Day bombing, HSM utilizes attacks on free speech in Europe to prosecute their style of global jihad against the West. I realize that this argument is largely a case of semantics, but these semantics help drive our conceptual understanding of al Qaeda, and it is vital that we accurately portray our enemy in order to attack them in the best way possible. For this reason, I feel it is important to challenge the commonly accepted framework of al Qaeda and its subordinate terrorist groups. If this were a franchise, the tactics and methods between all groups mentioned in bullet five would all be the same. Instead, they represent the capabilities and strengths of each group. In essence, each group is producing their own regional “Po Boys”, and not waiting for a specified menu from corporate headquarters. There is recent open source reporting that Hamas and its offshoots have made efforts to align themselves under al Qaeda. The article, citing a not-yet-published study from the Washington Institute for Near East Policy, says that Hamas and affiliated offshoots are being snubbed by al Qaeda for failing to prove that their intentions extend beyond the Palestinian-Israeli conflict. If true, this helps fortify my assessment that AQ and subordinate groups are more like a conglomerate than franchise. In a business sense, this situation is akin to a major corporation conducting an assessment of a potential takeover target and determining that the smaller company is not a viable “fit” with the company’s long-term business plan. In the case of AQ, their long-term agenda is to wage war against the West, principally the United States. Subordinate terror groups are merely tasked with prosecuting AQCL’s long-term interests with their own set of capabilities and unique strengths. In the case of HSM, they have a large Somali diaspora spread throughout Europe and North America that they can draw upon. AQAP had a Nigerian national who traveled to Yemen and seemingly offered himself up for a suicide attack. Each attack by a subordinate group against a Western target is a form of “profit” for AQ, and serves to strengthen the overall conglomerate. Recent attacks against the West came from AQ in the Caucasus, who were the likely perpetrators of an attack against a Russian police station in Dagestan; HSM, who was likely responsible for the attempted assassination of Danish cartoonist Kurt Westergaard; and AQAP, who has already admitted being behind the attempted Christmas day bombing of an international flight headed to the United States. Looking back at the definition of a conglomerate that I provided near the top of this post, let us simply remove the words “unrelated industries” and replace them with the word “regions”. When re-looking both definitions, conglomerate with the replaced words, which one now seems to be the best fit for AQ? Al Qaeda as a franchise with a set playbook (i.e. menu) of attack methods and capabilities, or a conglomerate made up of subordinate terrorist groups that prosecute their own brand of terrorism within each group’s unique set of strengths and capabilities? In my next post, I will discuss how altering the prism of al Qaeda's framework will potentially benefit us in our ongoing efforts to combat al Qaeda and its subordinate terror groups. Hey, I was thinking of passing this article along to the guys at Small Wars Journal...would you be interested in compiling this into an article? It's important to make a distinction between those groups who have ties with al qaeda and those that have pledged "baya" (بيعة) -- profession of loyalty. Has HSM pledged "baya"? I don't know. as i recall, the franchise and conglomerate “business models” about al qaeda have been around sporadically for over five years. the franchise model was gaining sway in the mid 2000s. the conglomerate model appeared earlier (though i’ve misplaced a post-9/11 analysis that i thought rendered al qaeda to look like one). but soon afterwards this model looked too corporate, too formally structured, to be accurate. as you notice, it may be more applicable today. from this perspective, the term “confederation” may be currently as useful as “conglomerate” since the former term often applies to tribe-like actors that prefer loosely structured alliances. if al qaeda becomes stronger, the hierarchical form and its business and governance models are likely to gain sway. Starbuck, yes. Not wanting to drop my email address to the entire WWW, I just hit you up on Facebook instead. My email address is on my profile page. Kind of lame, but it is what it is. Look forward to hearing from you. LMD, I honestly do not know if a pledge of baya, or shehada for that matter, is part of the formal process for aligning with and under AQ. If you take a look back at the original post, I mention a June 4, 2008 communique by Sheikh Ahmed Abdi Godane who opens with a greeting to OBL as "our Sheikh and Emir". Sounds like a pledge of loyalty to me. I think what is (equally, if not) more important for AQCL is a willingness, desire and capability to extend that particular "front" west toward Europe and North America. Mr. Ronfeldt, your comment is exactly what I was looking for. I'll reply tomorrow after I've had a chance to digest this fully and formulate a worthwhile response. Hoffman lays out five elements of what he terms Al Qaeda's new strategy. Echoing the idea espoused above by David Ronfeldt, he highlights the "dynamic and evolutionary" nature of AQ and their global efforts. I do take issue with one element of Hoffman's argument however, when he claims that, "al-Qaeda's leadership has now adopted a 'death by a thousand cuts' approach." By this he means that rather than try to deliver another 9/11-style "knockout blow" attack, AQ will attempt to conduct several smaller and more frequent attacks. While this may seem true upon initial inspection, I think we're giving too much credit to AQ Central when we assess that there is a significant level of coordination in planning and approving all of these attacks. To me, by arguing that there is a single "al Qaeda strategy" we are assuming that they are operating along the "franchise model." I would argue that they are more likely operating in the conglomerate (or maybe confederation) model, whereby the subordinate affiliated elements (i.e. AQI, AQAP, etc.) are all planning and conducting operations on their own individual operational cycles with little or no oversight or direction from AQ central. For example, the claims by Abu Mustafa al Yezid last week that AQ was responsible for the Khost attack on 30 Dec would imply that AQ directed the attacks. However, the video released by Hakimullah Mehsud's TTP makes it more likely that AQ central had a minimal role in the attack and was just attempting to claim credit for the Taliban and Haqqani led and planned operation. In much the same way, I believe the Dec 25 failed attack was also planned and conceived with minimal AQ central involvement. As we continue to look to the future, I expect to see an increasingly decentralized and "conglomerated" structure. In fact, I think we're likely to see significant internal fractures emerge as AQ central begins to fear a loss of control of their affiliated elements. These are just some initial thoughts after reading Hoffman's article and Josh's post. I'm hoping to refine these concepts a bit and post a stand-alone follow-up post sometime this week. Josh, throughout our conversations I have been thinking primarily about AQ's ability to find success even in their failures. This ability is a strong business trait, whether it be in a franchise or conglomerate. "[AQ] has transformed from a global terrorist group into a global terrorist movement, one with its own founding fathers, well-codified doctrine, substantial and accessible corpus of literature, and deep bench of young, bright, and ambitious commanders." Truthfully, the terms "franchise" or "conglomerate" may not accurately define them, as I think AQ and affiliates morph more than we like them to. The danger to us is that this morphing ability may be part of the strategy. "Al-Qaida has progressively lowered their threshold for what constitutes “success” all the way down to failure." I do not think they are just a movement; although I think they do represent the movement. I do think also that this "success in failure" gives them more power, more influence to control our image of them. It is a tactic of propaganda, and I do not want us to mistakenly characterize them as a result. The Christmas Day attack is one example of this method: "AQ, well at least AQAP, has learned that quickly claiming responsibility, even for failure, is key to demonstrating continued relevance." So, I do think that AQ acts as a conglomerate overall, but I think also that AQ uses franchise methods to propagandize. They will claim any attack against the "infidel" as part of their own, whether it is by AQIM, HSM, AQAP, lone wolf, etc. This brings us back to Mr. Ronfeldt's thoughts that AQ has adopted a hybrid strategy of confederation with tribal and hierarchical elements. I think it worthy to add the element of franchise in order to understand how AQ propagandize: They have to project one message in order to find success in failure. I am looking forward to yours and Mr. Ronfeldt's comments, as well as others. The Thunder Run has linked to this post in the blog post From the Front: 01/11/2010 News and Personal dispatches from the front and the home front. This may turn into one of the more important posts written for al-sahwa to date. The two things that I believe are the most hazardous for anyone involved in Homeland Security are; 1) Failure to completely understand who we are up against and 2) Lack of imagination for what this group of groups is capable of doing. Your analysis is exactly what we need to start the year off right. We probably need to revisit your conclusions semi-annually. 1) A conglomerate (C) may purchase a completely unrelated subsidiary (S) if C believes that S can gobble up market share from S's competitors with an influx of capital from C. Example: the so-called "cereal wars" in which smaller cereal brands were purchased by C's. Cereals lowered prices drastically, operating at a loss (but having enough cash from C's that owned them) in order to take market share from other cereal manufacturers. 2) With item (1) in mind, AQ might exhibit behavior of a conglomerate not by expanding its terror operations, but by expanding into running drug cartels for lucrative sources of cash, opening up mosques and madrassas to obtain cash from donations (much like the Najaf mosques are a cash cow of sorts - though obviously a Shia one), or opening up businesses in the US that exist only to create a stream of revenue for the conglomerate. 3) I have no idea of your background. Have you read Rumelt's views on types of corporate strategy and different types of conglomerates? Short background info here, here (pg 3), and here (beginning at slide 10). 4) Again, haven't fully thought this through, but conglomerate is a classification of a corporate strategy for diversification (obtaining new competencies, often in similar geographic markets), whereas franchising is often (though not exclusively) viewed as a means of expanding (largely through entering a new geographic market, but leveraging the same core competencies). Example: McDonald's franchises all do the same thing, but in different markets. It expands by opening new (and essentially identical) restaurants. Richard Branson's Virgin congolmerate does anything and everything, expanding by creating new business units, regardless of whether they are related to other units (with the only apparent link being the Virgin brand). MacAndrews & Forbes has no apparent rhyme or reason, not even a brand image. For some reason my response from earlier today didn't post, not sure what the deal is there. Clarification: this was not meant to be the end all be all of AQ. It was not intended to explain AQ at all tiers. I agree there are different models at play at lower levels. This post was intended to explain the relationship between AQCL and subordinate organizations. I also want to challenge the commonly held notion of AQ as a franchise, which I feel is an incorrect model. Keeping in mind that domestic public perception is just as (if not more) important as any other facet of the current conflict, it is important that they truly understand that each group is a completely different problem. 1) I don't think it necessarily has to be about market share. It is also a means for expansion and risk mitigation for a corporation. 3) I have not read Rumelt. I'll check out your links tomorrow. 4) You're right to an extent in this but I disagree with conglomerate solely being a corporate strategy and franchising being a major (I think major is what you were implying) means of expansion. I get the feeling you were or are an MBA student. Understand the purpose - just wanted to throw in some initial thoughts to the mix, since you were looking for input. 2) Agree. The reason I pointed that out was just to ensure that you were not narrowly focusing only on terror and insurgency operations. I now see that you were looking bigger picture. 3) If you have JSTOR access (I no longer do) then you can probably find better links. The ones I provided were just from a quick Google search. (Although they seem to be good brief summaries). 4) I may be mixing terms inappropriately. Franchising is generally a strategy for penetrating different geographic markets, if I recall correctly. I can't think of any other reason, off the top of my head, to franchise one's brand. Was an MBA student (so the concepts aren't fresh in my brain anymore). http://www.franchiseexpo.com helped me find a franchise opportunity that was perfect for me. They helped me every step of the way, provided me with resources and countless franchise directory . They have excellent customer service as well! The experts at Profit Street helped me out a lot in my search for a franchise. It was nice to speak with the knowledgeable brokers and get their advice. franchises are perfect for investors that are not prepared to work full time yet. Franchises provide guidance to start a business. "My Muslim Brothers of The World: Under the banner of the blessed awakening which is sweeping the Islamic world...Your brothers in Palestine and in the land of the two Holy Places are calling upon your help and asking you to take part in fighting against the enemy - your enemy and their enemy - the Americans and the Israelis. They are asking you to do whatever you can, with one's own means and ability, to expel the enemy, humiliated and defeated, out of the sanctities of Islam." "[T]he Muslim nation has begun to awaken...[and a] jihadi awakening will pervade." The Rewards for Justice program, administered by the United States Department of State's Bureau of Diplomatic Security, offers rewards for information leading to the arrest of many of these terrorists. Al-Zawahiri is a physician and the founder of the Egyptian Islamic Jihad (EIJ). This organization opposes the secular Egyptian Government and seeks its overthrow through violent means. 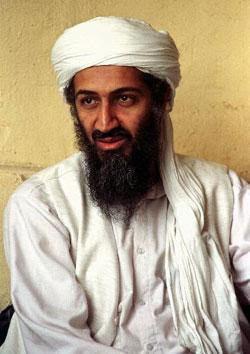 In approximately 1998, the EIJ led by Al-Zawahiri merged with Al Qaeda. Fahd Mohammed Ahmed Al-Quso was indicted in the Southern District of New York for his role in the October 12, 2000, bombing of the USS Cole in Aden, Yemen, in which 17 American sailors were killed. Ahmed Mohammed Hamed Ali was indicted in the Southern District of New York, for his alleged involvement in the bombings of the United States Embassies in Dar es Salaam, Tanzania, and Nairobi, Kenya, on August 7, 1998.